Paulina Bebecka, Nilo Casares, Jaime Lavagne, Arturo Moya Villén and Gerardo Zavarce, were appointed as juries by EX and they unanimously expressed their content with the quantity, quality and diversity of the applications received. This initiative was possible thanks to the generous sponsorship of Arts Connection and the collaboration of JustMAD Contemporary Art Fair. 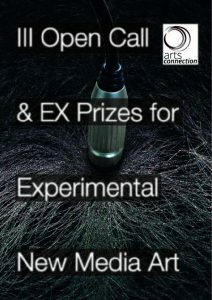 Judges are pleased to announce the details of the two award-winning electronic and experimental artworks, as follows. Ting Zhang: Far and Near, You and Me. Ting Zhang is Chinese born and according to the jury her piece achieves to convey the magic of long distance encounters. She comments on the coexistence of real and unreal when it comes to value these kind of encounters. Iliyana Kancheva: Image Don’t Cost a Thing. Iliyana Kancheva hails from Bulgary. Her work deals with guessing old fashion games as in Snow White tale, where Maleficent repeatedly guesses to her magic mirror. She brings back these games to an analogic stage. Bosch & Simons: Último esfuerzo rural III. Based in Spain, their work subdues rusty industrial materials to technology and links them to the digital realm. Andrei Rubina Thomaz: Hourglass. He was born and resides in Brazil. His piece comments on the speed of contemporary western way of life’s pace. Paulina Bebecka, (b. 1983, Warsaw, Poland) is a New York City based independent curator, director of Postmasters Gallery, and co-founder of +ArtApp – an organization dedicated to researching, incubating and supporting the nascent App Art movement and arts-centered apps worldwide. Her most recent exhibition this one is smaller than this one, first shown at Postmasters in 2016 traveled to Istanbul and Vienna the same year. Her projects have been reviewed by publications including The New York Times, Modern Painters, Artinfo, artnet, Vice, and the Huffington Post. Nilo Casares. Polygraph (since 1977). Newspaper contributor (since 1993). Occasional researcher in the area of aesthetics and art theory (since 1988). Consultant (since 1988). Art critic (since 1993). Digital and public art promoter (since 1994). Coordinator and director of cultural activities (since 1994). Conference presenter (since 1996). Lecturer (since 1996) and artistic adviser (since 1994). Jaime González Lavagne es Licenciado en Filosofía y Letras y Máster en Dirección y Administración de Empresas. Es miembro fundador y actual presidente de EX, asociación de arte electrónico y experimental. Curador independiente de exposiciones para instituciones como la Biblioteca Nacional, el Círculo de Bellas Artes y otros museos. Profesor, escritor y conferenciante, imparte cursos y seminarios relacionados con el Comisariado, el coleccionismo, el Mercado, la Economía de la Cultura y Patrimonio Artístico en diversas instituciones, como la UCLM (Universidad de Castilla la Mancha), UMH (Universidad Miguel Hernández), EUDE (Escuela Europea de Dirección y Empresa), Fiart (Fundación Fondo Internacional de las Artes) o la Fundación Ortega y Gasset – Gregorio Marañón (FOG). Arturo Moya Villén is a Madrid based sound artist, New Media artist, composer, performer and curator. 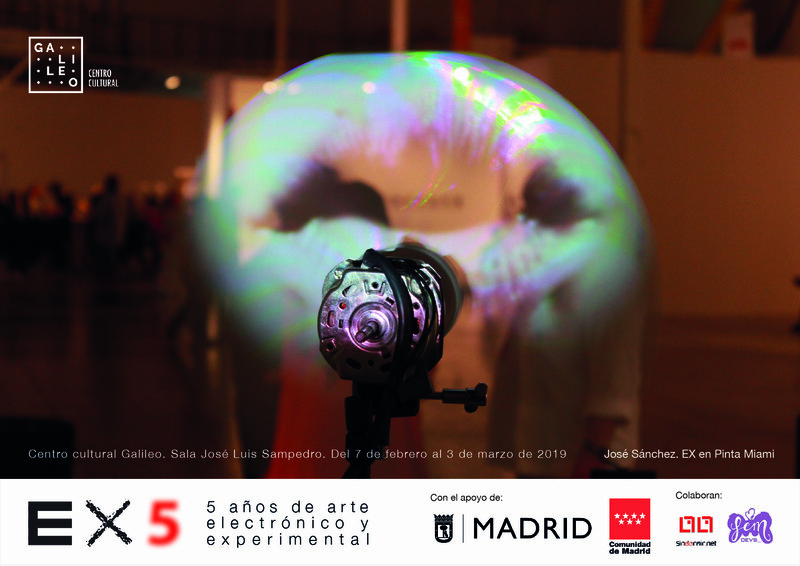 First president of EX, Electronic and Experimental Art Association (arteelectronico.net), founder and current vicepresident. He has been president of the Spanish Electroacoustic Music Association, (www.musicaelectroacustica.com/amee), director of “Punto de Encuentro” International Festivals of Electroacoustic Music, curator for Experimental Music in “Circuito Electrovisiones”, among other initiatives. He write articles and teach courses on New Media Art, Sound Art, Sound Installation and Electroacoustic Music. He also participates as a jury in international electroacoustic music and electronic art contests. His work has been exhibited worldwide. Gerardo Zavarce holds a BA from the Universidad Central de Venezuela (UCV, 2000). He is a researcher, developer and adviser in the area of ​​culture and visual arts. He has taught in the departments of sociology of art, analysis of socio-cultural state, aesthetic seminar, and community service at the arts school of the UCV. He has participated as an organizer and speaker at national and international events, and is a regular contributor at various publications. He currently works as a consultant and researcher at the ONG (Organización Nelson Garrido) and as curatorial deputy director at El Anexo Arte Contemporáneo.